3. Answer the question above in the comments and say hi. 4. visit and follow the blogs below. 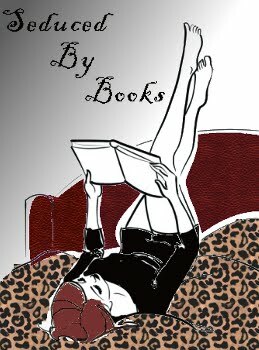 Click on the Hop Picture above to head over to Crazy for Books and add your name to the list and follow some of the 200+ blogs - listed a few of the first 20 below. BONAFIDE BLOGGERS - WE B BLOGGIN. A Casual Reader MORE AT CRAZY FOR BOOKS!!! CHECK IT OUT!!!!!!!!!!!!!! Just stopped by for the hop. I'm a new follower. I hope you have a great weekend!! Hi! I'm hopping by for Follow Friday! Great blog - I'm following you. Hi - thanks for coming by - Kim we are already on your site:)glad you found us. Paromantasy can't wait to explore on yours. I drink Mountain dew while i read. I love hot chocolate in the winter. Yes, I'm hopping all over the place. This is fun though! :D I drink Mountain Dew when I cuddle up to read. Add a little chocolate with a good book and I'm in heaven! I'm doing the Friday Follow and Blog Hop. I really enjoy visiting and possibly finding new blogs. I hope you have a magnificent weekend! Old follower dropping in to show some love and catch up on some reading. Have a great weekend you guys. Hope you drop by and visit me too. Jenn - Book noise - we're an old follower for you too, i love your pic on your site. Visiting (and following) from the blog hop. Rebecca - LOVE the frog button!!!! Emma - LOVE the picture!! I actually despise sweet tea. =x I was in Texas for a month-long vacation and hated being surrounded with sweet tea everyyywhere! WHEEW! my feet are tired from all that hopping, what about you! i tried to make it to everyone, i left a comment. if i missed ya, comment here and we'll get on it. Hey, thanks for stopping by, I'm returning the favor! I like how you broke down your ratings system! Hey There!! I love your blog!! I am your newest follower! Looking forward to reading more from you!!! Hope that your having a fun filled weekend so far!! Take Care! I am stopping by via the hop! What is sweet tea? I tend to drink nothign but if I do drink something then it's either tea or juice! Naomi - sweet tea is brewed iced tea, but it's premixed with sugar, it's a southern drink. Thanks Rob :) can't wait to see more of your site. hi, thanks for following my untitled blog! im a new follower too! Hey thanks for stopping by! I'm a new follower. Sweet tea is one of my favorite drinks. Happy HOP! I drink mostly water and diet soda. Hoping you have a fun weekend ! Thanks for stopping by at Murphy's Library (www.murphyslibrary.com)! I'm following you now. Hope you're having a great weekend! Hi, just dropping by from the hop! Hope your weekend turned out to be a good one. Thanks for coming by my blog! Oo sweet tea is good! I haven't had it in ages though... sadness.